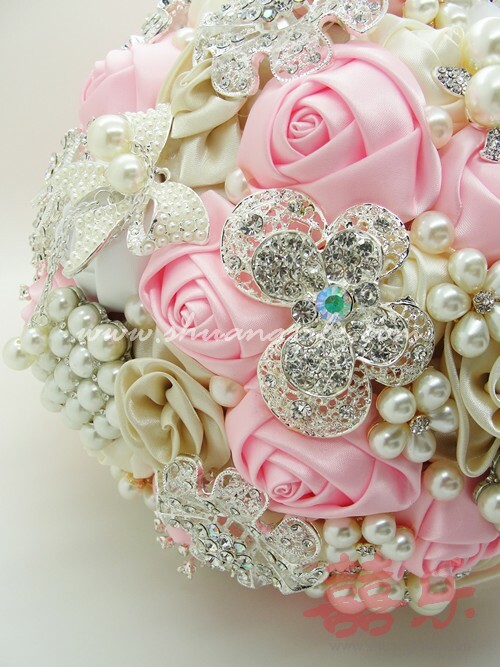 A perfect alternative to the traditional floral wedding bouquet - the beautiful sparkling jewelled brooch bouquet to accompany you on your special day! 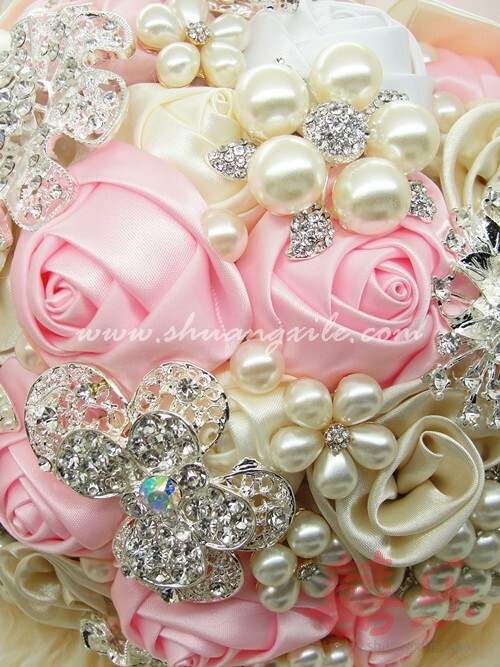 Unlike real flowers, the heirloom jewelled bouquets will last long after the your wedding. 100% handpicked middle range jewellery to make up the bouquet, every pieces will be slightly different based on the same concept of the actual product photo taken above. Made with a combination of rhinestones, jewels, Czech pearls and repurposed brooches and buttons, and of course, the popular handmade satin roses and rosettes. 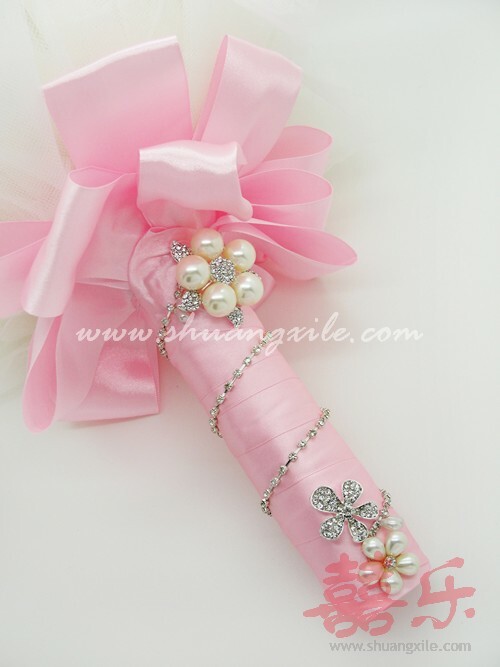 Gorgeous bouquet at affordable price! 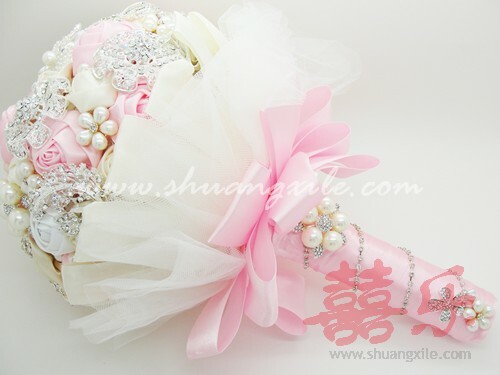 Please feel free to compare market price (high range brooch bouquet could be priced up to S$700 or even higher!). Welcome to view the actual piece at our retail store today to believe it! Ready stock will be available for cash & carry. Grab while stock last! Send in image of your desired design to ask for quotation, pre-order will take at least 3 weeks to complete. Photos below are taken from actual product of our ready stock.